Fruitdale, once a crossroads community surrounded by truck farms, is now part of Wheat Ridge. Its two-story red brick school, built in 1927, was designed by Temple Hoyne Buell early in his career, but has not been used for elementary education since 1978. 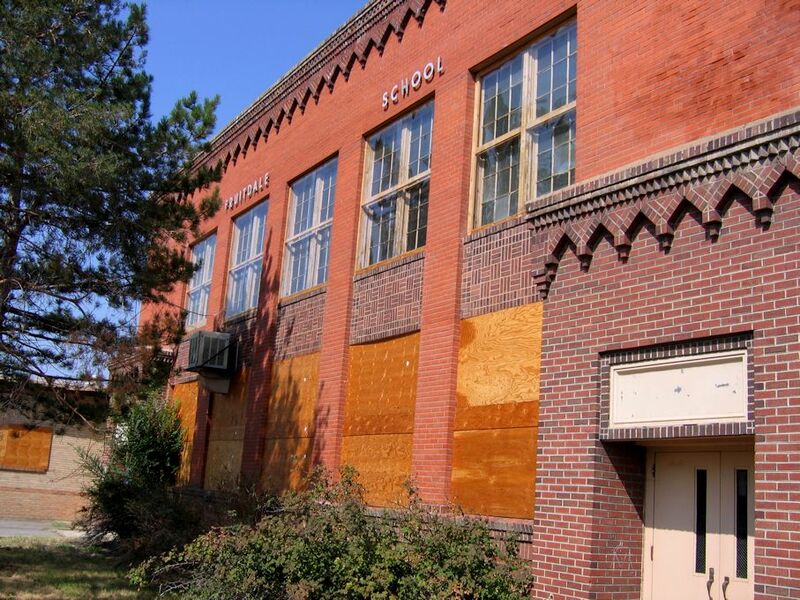 Often threatened with demolition, the school and property were acquired by Wheat Ridge Housing Authority in 2011, and efforts have continued to preserve the building and identify a new use. Read more about the Fruitdale School, from Historically Jeffco 2013. See the National Register page from the Hall of Fame notebook.